Today we released a patch for our server monitoring service to correct an issue with the values we were showing for memory usage on the servers. Before this patch we were showing all of the memory used by the system which included Linux cache and batch as well. With today’s change you will only see the actual memory used by processes running on the box. 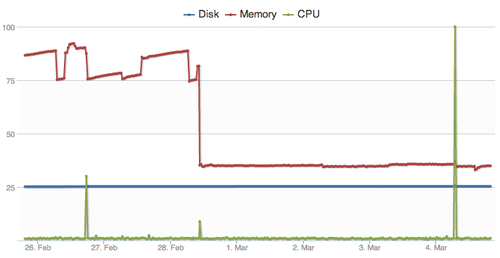 This will show a reduction on the server memory charts.